Almost every would-be immigrant, keen to move to Australia, dreams of acquiring the nation’s prized Permanent Residence someday. And, the country offers 1000s of reasons to do so. If you, too, are eager to become its permanent resident, then the following article will help you understand the Australia PR Process Steps. The ‘Land of Kangaroos’ is a perfect hotspot for the skilled immigrants. The available statistics show that it’s the trained workers who move to the destination the most. That does not mean other types of candidates are not welcome in the nation. The Department of Immigration and Border Protection (DIBP), the apex Australian immigration body that regulates the visa and immigration affairs for the country, has introduced several kinds of visa streams to let potential candidates enter the country as a permanent resident. Some specific categories, like subcategory 189 and 190, are very popular. No matter how much potential you have and which particular category you choose to submit an application under, you will have to meet certain eligibility criteria, to make the cut. To prove your worth, you will have to score at least 60 points on the point based system, on the basis of various factors such as age, experience, qualification, skills, etc. otherwise, you will not be considered for the prized PR Visa and denied the privilege. Once you are sure of the immigration programme, study the list of the required documents and gather them neatly. If you are done with your document collection, submit an Expression of Interest (EOI) through SkillSelect. The DIBP will give you points on the basis of your profile even as to make the cut your profile you must get not less than 60 points. At this stage, you cannot do much except wait for the immigration consulate to revert to your application. If your profile impresses the consulate you will be the lucky candidate to be picked up for the permanent visa, and the DIBP will send you an Invitation to Apply (ITA) for the visa of your choice. When you revert you will be required to complete certain formalities by attaching all your required documents and make sure you do the same within 60 days of receiving an ITA. Now that you know the steps to process the Australia PR process you must remember certain facts. The DIBP looks out for the candidates having fluency in English, to make sure they are easily able to integrate with the local community and adopt the unique Australian culture. You must score the required points on the points system, you must be below the age of 50, you must be in good health, and be a man of good character. To prove the same, you will be asked to submit the pertinent certificates which will be duly verified, and most importantly, your chosen occupation must be listed on the valid Skilled Occupation List (SOL), if it’s not, you are not eligible to apply. 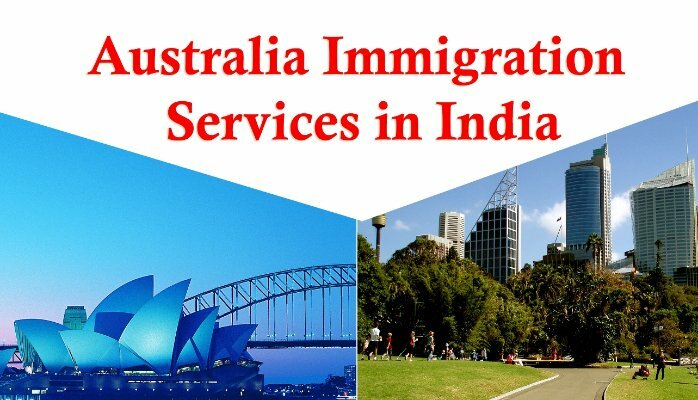 For more information on the Australia PR process steps, consult an immigration expert. Australia PR process steps are pretty simple to understand, and if you pay attention, you will easily figure them out.